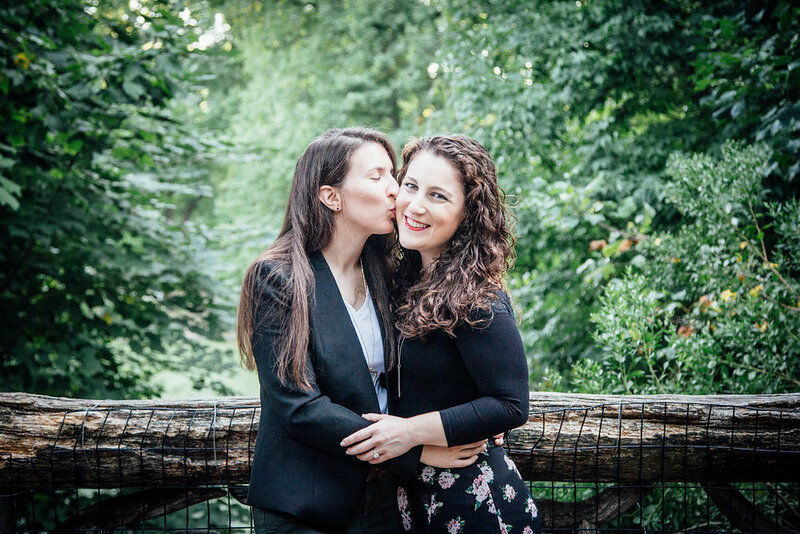 When Dina contacted me saying she had devised an elaborate scheme to surprise her significant other, Rebecca, with a proposal, I knew I was intrigued. Through email, Dina let me in on her meticulously considered plan and we met day of to go over the details in person. 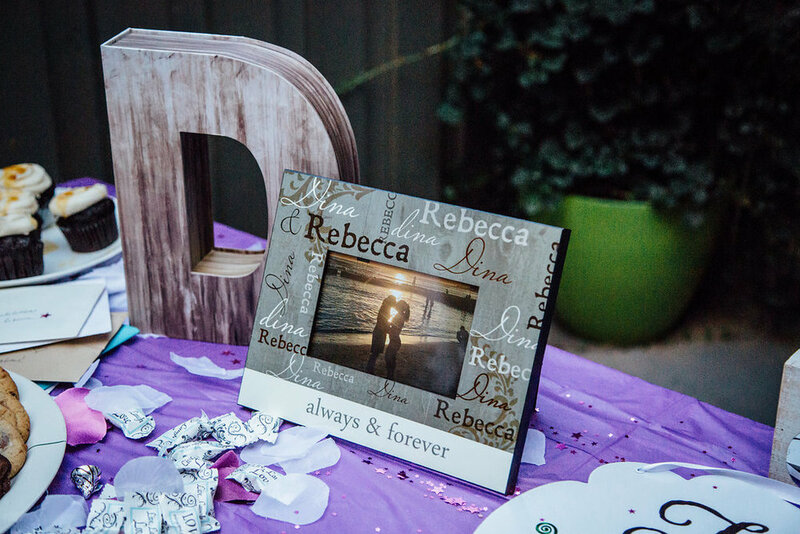 The best part of the whole thing was that after the proposal happened, there was another surprise in store for Rebecca. Dina had arranged family members and friends from all over to meet at Krupa Grocery for a surprise engagement party. 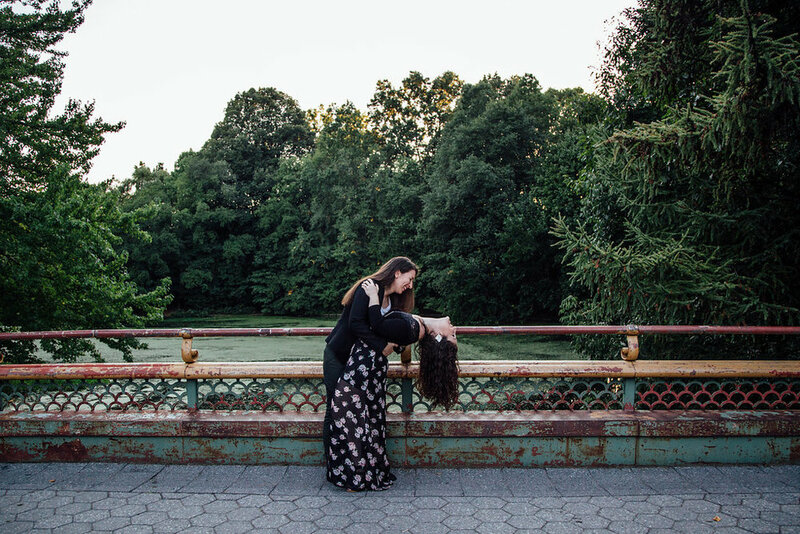 For about half an hour before the proposal was scheduled to happen, I stood in the woods in Prospect Park at our agreed upon location. I shooed people off of the dock that Dina designated as their spot, and stood at alert until they showed up. As I watched Dina get down on her knee it was amazing to see Rebecca's shocked and thrilled reaction. 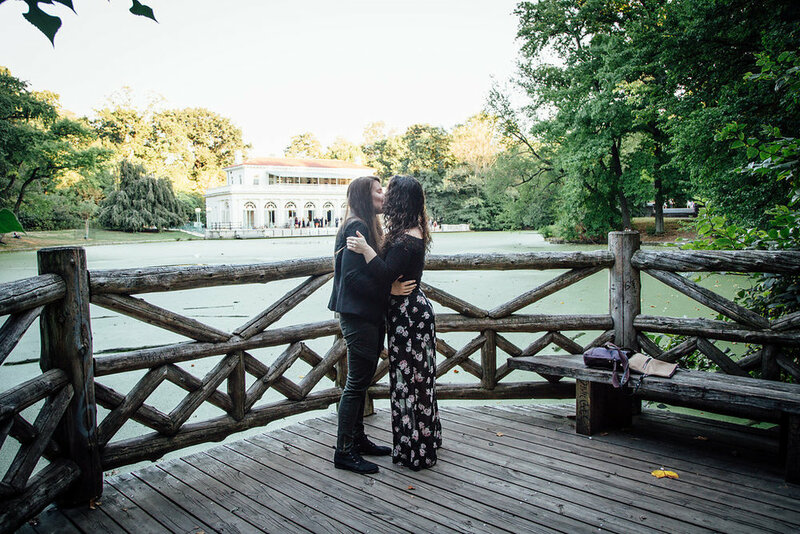 After the initial proposal, we took a walk to take portraits, then I left. As far as Rebecca knew I was going home, and her and Dina would go out for dinner to celebrate. In this time, I rushed to Krupa Grocery and helped all of the eager party goers to hide so Rebecca wouldn't see them as she approached. When the waitress escorted the couple to the backyard Rebecca had no idea what was in store. Seeing her face - yet again - shocked and thrilled was so special. 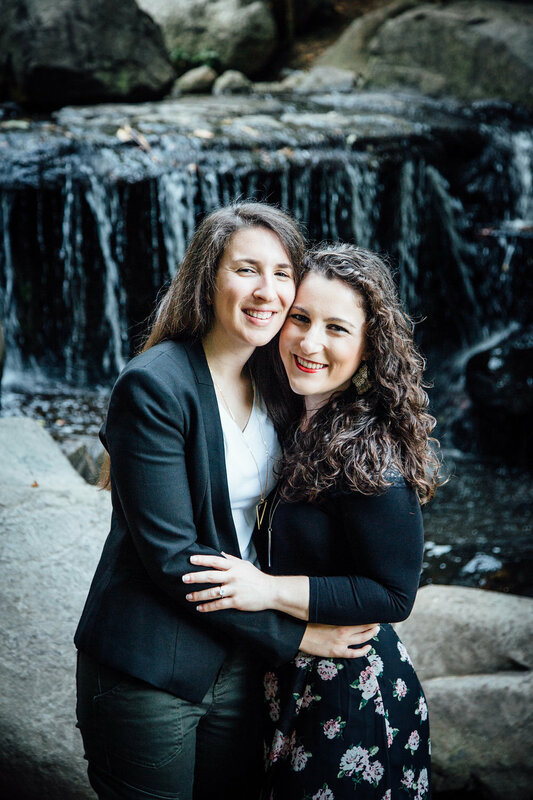 Then to capture the immense love that blanketed Dina and Rebecca as they began the next chapter of their lives together was absolutely amazing.